Finding what hotel best suits your company’s business needs is a tough endeavor. There is an excess of deceptive marketing trying to convince viewers that the advertiser’s hotel is the best. Even if you’re using a business travel agency, there are hundreds of options to choose from. One of the best ways to find a suitable hotel is by looking for options that are continuing to invest money into improving their guests’ stay. 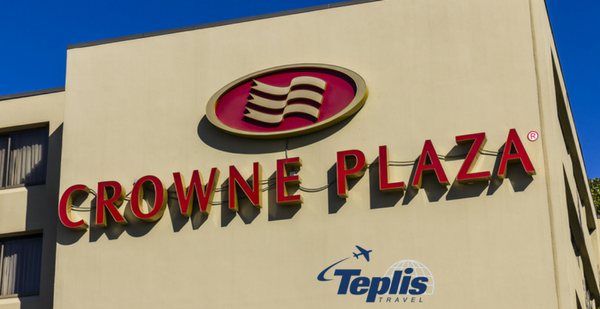 After earning the reputation as a “tired brand,” Crowne Plaza began a $200 million investment into revamping and revitalizing their chain in 2016. They’re raising the bar with modern marketing campaigns, updated guest rooms, and the highly anticipated, tech-forward flexible meeting spaces. Keep reading for the details. It’s easy to get comfortable in your marketing strategy as a successful hotel chain, but public interest has greatly shifted over the last 5-10 years. In the late 90s and early 2000s, corporate America seemed to place a high value on simple, budget-friendly options for their business travel. This is still an important factor, but for marketing, people want to see what their lifestyle would look like if they chose that hotel. The Crowne Plaza has begun a lifestyle campaign riding on this trend using phrases like “modern swagger” and “business blurs with life.” However, these sayings are not just marketing ideas; they’re implementing them into their upgrades. The appropriately titled “WorkLife” room design is Crowne Plaza’s attempt to bring balance to the difficult task of being an effective business traveler while still maintaining an enjoyable non-work lifestyle. These rooms use a unique take on midcentury modern design, but most notably, the rooms are unique because of the placement of furniture. The designer claims they want these rooms to be a “cocoon-like” experience. The furniture is positioned towards the outer edges of the room, but pointing inward, which frees up more usable square footage in the room. This leaves space for popular exercises like yoga and meditation, while also providing a functional area to work on business-related tasks. The most exciting upgrade the Plaza is making is to their business meeting spaces. Inspired by trendy co-working spaces, the hotel has begun implementing two versions of flexible meeting spaces. The first is a workplace studio. This is a private room that you rent by the hour that comes fully equipped with couches, a table with seating for six, a television for presentations, whiteboard, and most versions have iPads for ordering, paying, and having food delivered to your space. If you are unable to book the private room, or don’t need such an array of options, the alternative workspaces are called huddle spots. These areas include semi-enclosed tables with seating for six, and one mounted iPad to be used similarly to the studio versions. This is a great option for smaller parties or quick, last minute meetings. Don’t get lost in the overwhelming number of ads and lodging options for your business trips. Look for business-friendly options like the Crowne Plaza that are equipping visitors with an enhanced lifestyle during their stay. For more business travel tips, or if you need assistance booking your next corporate trip, contact us today and experience the Teplis Difference.